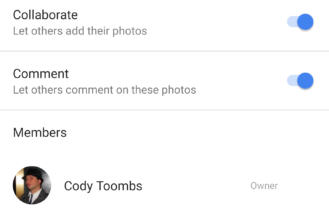 Google Photos has a new version rolling out to users today. Like so many other updates from Google, this one appears to be holding back new features, likely in preparation for I/O in just about one month. But for as much as Google may be holding back, there are also a few things that are being packed into the app now in preparation for those big announcements. Left: Previous layout. Right: New layout. There's one change that's not related to the version bump, but it is rolling out to many people alongside the update. 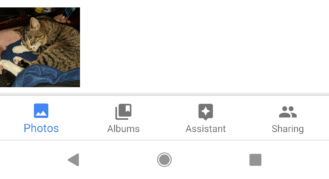 To put it simply, the Assistant tab has been displaced from its featured spot at the far left to the third position, allowing both Photos and Albums to shift one spot over. This is the type of change that might normally go unnoticed, but if you've built any reflexes around which button to tap, this will probably throw you off for a few days. Hopefully, knowing about the change will make it easier to adjust. Google is definitely making this change remotely, so it may still only be targeting a limited number of people. 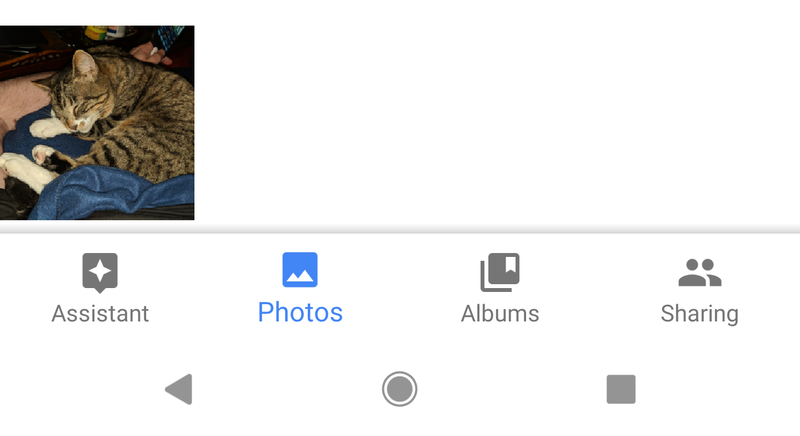 One of last year's big additions to Google Photos was the addition of the Archive feature. Basically, it's a tool for keeping photos out of the way while still keeping them in your collection if you need them. It can even be a powerful tool for organization if used creatively. In the latest update, it looks like the Archive feature might be getting an upgrade. About a dozen new lines were added that include suggestions to archive various types of pictures. The list includes a lot of things we've probably taken pictures of in a note-taking capacity, like business cards, menus, newspapers, passports, receipts, and others. What's not clear from the text is if anything different happens for each of these actions. Since they are labeled as "suggested actions," it's possible Google is just showing off its muscle at detecting the contents of a photo. For now, the only thing the text really states is that anything archived is still available, but it'll be hidden from the library view. On the other hand, if the work of categorizing these images is already being done, it's possible there might be more features in the works to give users a more efficient experience. It was only a little over a month ago when a teardown of v3.15 pointed to a new "Like" feature for shared photos and videos. Since then, there has been a steady trickle of small additions to the feature, but nothing too enlightening. The latest round of additions is still relatively underwhelming, but it does expose one specific implementation detail. It appears as though comments can't be disabled without also turning off likes. A pair of new lines will be used to replace the current toggle that shuts off commenting on a shared album. The new text will basically just expand the switch to include both comments and likes, but there won't be individual options for each. Comments have been supported on shared albums for nearly two years. Let's hit one last topic, albeit something of a novelty. There are a bunch of new lines for labels that will overlay different categories of photos and videos. All of the stuff you'd expect to see is there, including 360 photos, burst groups, slow motion videos, RAW photos, and so on. But there's one that stands out as slightly odd: Vertical panoramas. While vertical pano shots are fairly uncommon, they're certainly not unheard of. I find this interesting mostly because we've never really seen this style of shot supported or actively implemented in the smartphone world, and it's doubly interesting to see this style categorized separately from a standard panorama, which also got its own category.